What is behind your choice of this piece of art in response to the topic “Guns in American Culture”? Artist David Kamm: “End of the Rainbow” was created in response to the 2012 shootings at Sandy Hook Elementary School. A long series of related work has followed. Why did this piece of art resonate for you or seem like it would give you an avenue into writing about this subject? 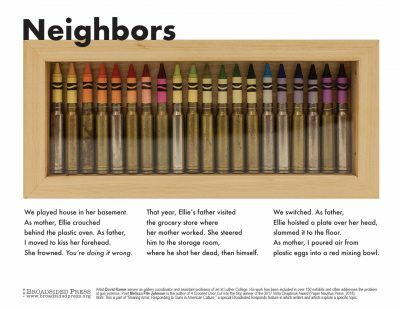 Poet Melissa Fite Johnson: The ways gun violence affects children is something I think about often. Every day, really—I’m a high school English teacher, my husband is an elementary school teacher. 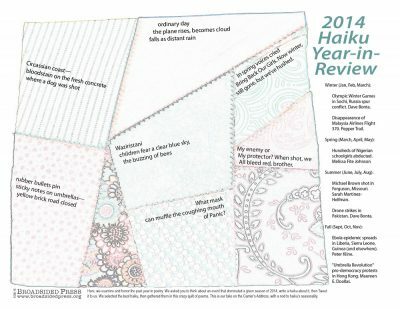 The annual Haiku Year-In-Review (HYIR) celebrates, examines, and honors the past year in poetry and art. 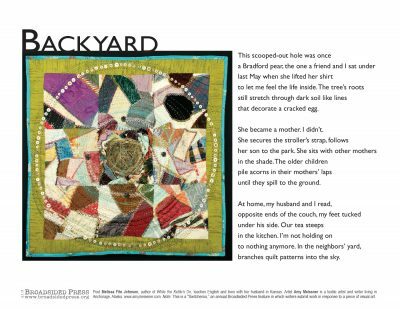 Meet the Poets: A group that spans the continent, a group that loves poetry and works as teachers, naturalists, and advocates. We asked them to tell us about themselves, and to also look back on 2014 and share their most memorable moment, be it personal or public.